If your dog stops breathing, time is of the essence in order to save his life. So please take the time now to thoroughly familiarize yourself with the necessary steps you'll need to take to resuscitate a dog not breathing. Hopefully you will never need to use it, but the more comfortable you are with the procedure, the more calmly you will be able to perform cardiopulmonary resuscitation (CPR) on your Miniature Schnauzer in an emergency situation. The first you want to do is make sure your dog is not breathing. If you are not sure, check by placing a mirror in front of your Schnauzer's nose and look for condensation or place a piece of tissue paper in front of your Schnauzer's nose and watch for any movement. Once you have determined that your Miniature Schnauzer is no longer breathing, it is time to begin artificial respiration to assist him in doing so. Lay your Miniature Schnauzer on his right side on a flat hard surface. Begin by inspecting your Schnauzer's airway for any obstructions. Open your dog's mouth and pull the tongue forward. Have a look inside the mouth and back of throat and make sure there is no foreign object that is obstructing airflow. If there is an obstruction, remove it and see if your Schnauzer begins breathing again. (note: If you cannot remove the object you need to perform the Heimlich Maneuver for Dogs) If clearing the obstruction does not reinstate your Miniature Schnauzer's breathing, continue with the next step. Straighten out your dog's neck. Put your mouth completely over dog's nose and mouth. Since your Miniature Schnauzer's nose is small, you should be able to place your mouth around his nose & mouth. Or, just cup one hand around his muzzle and mouth to keep shut and put your mouth completely over his nose. Begin to blow air gently into his nose until you see your Miniature Schnauzer's chest rise or expand. Wait for the air to expel and then repeat blowing air back into your Schnauzer's nose (one breath every 3 seconds). Once normal breathing begins, stop. If your Miniature Schnauzer's heart has stopped... you must perform CPR immediately! Watch this amazing video of Canyon Crest K9 Trainer Ron Pace performing CPR on a boxer who suddenly collapsed and stopped breathing during a dog training session. Before beginning compressions make sure there are no major points of bleeding that first need to be controlled. Your dog should be laying on his right side so his left side (or heart side) is facing up towards you. Kneel down next to your Schnauzer with your arms extended out over him, cupping one hand on top of the other. Place your hands on your Schnauzer's ribs just where his elbows meet his chest. Compress an inch and release quickly. About 2 compressions a second. After 15 compressions, lean forward and blow air into your Schnauzer's nose, using the respiratory assist method above. Continue alternating between every 15 compressions to 2 rescue breaths, until your Schnauzer's breathing and heartbeat return. Once your Miniature Schnauzer is up and breathing on his own, call your vet. You will want him to examine your Miniature Schnauzer after the crisis is over with to ensure your dog suffered no internal injuries. Caution: When dogs are in distress, they may bite or snap. Be Prepared - Be Calm - Act Quickly! 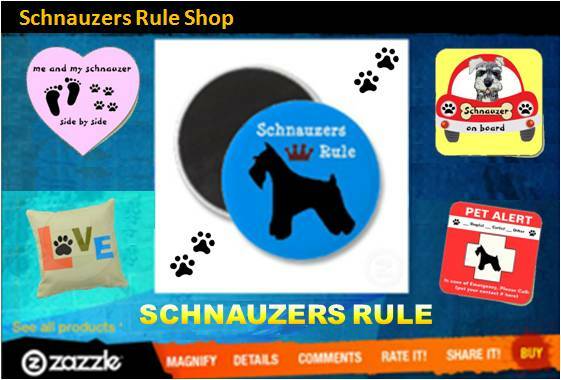 You know your Miniature Schnauzer's behaviors, mental alertness, and physical appearance very well. Any time you notice a change from what you consider to be normal for your dog, could indicate that your dog is in distress and needs help. The chart below lists the Normal Vital Signs for Mini Schnauzers or other small dog breeds. Here's another great video demonstration with Elaine Acker, CEO of Pets Amercia, demonstrating the proper technique for performing CPR on pets. Knowledge Share... If you found this article on How to Resuscitate a Dog Not Breathing helpful and informative please share it with your dog-loving friends by clicking on one of the share links at the top right or bottom of this page (like facebook or twitter). It could just save their life! Have You Ever Had To Perform CPR on Your Pet?